Never before has there been a pool of movement-building talent brought together in one network. The Rhize Coaching Corps drives our model of sustainability and scale. We bring together the most experienced and knowledgeable movement-builders, organizers, and advisors who work with Catalysts around the world. They coach Catalysts through a clear approach using the foundational strategies of movement-building while Catalysts adapt these learnings to their local context. Dmytro is former policy analyst of the embassy of Japan to Ukraine who left the embassy in 2000 to join street protests against the authoritarian regime. He started and managed the key US-funded fair vote project of the nonviolent 2004 Orange Revolution. 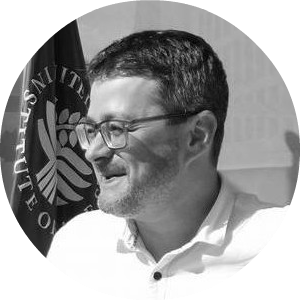 Dmytro is a co-founder of the Online Civic Studies Academy, runs Nonviolent.Solutions Agency and develops CivicOS.net counter-disinformation tool for Stanford University. Janet is an activist of the South African liberation movement, having gained experience in the 1980s in both underground and above-ground organization and mobilization against the apartheid regime. Since then she haa worked as an activist in ecosocialist, human rights and anti-war movements, in international solidarity movements including Palestine, and as a trainer in strategic nonviolence and civil resistance with activists from a number of countries including Zimbabwe, Swaziland, Egypt and Sierra Leone. Janet is currently a professor in Development Studies at the Nelson Mandela University in Port Elizabeth, engaged in action research on sustainable development and democratic participation, and teaching a Masters course in 'Social movements and social change'. Héctor holds an MSc in development planning and management and a PhD in social anthropology. His expertise is on participatory planning for community development. He works with communities and civil society organizations to mobilize local capacities for social change in México. Is cofounder of Tómala.Mx and does research on emergent movements.